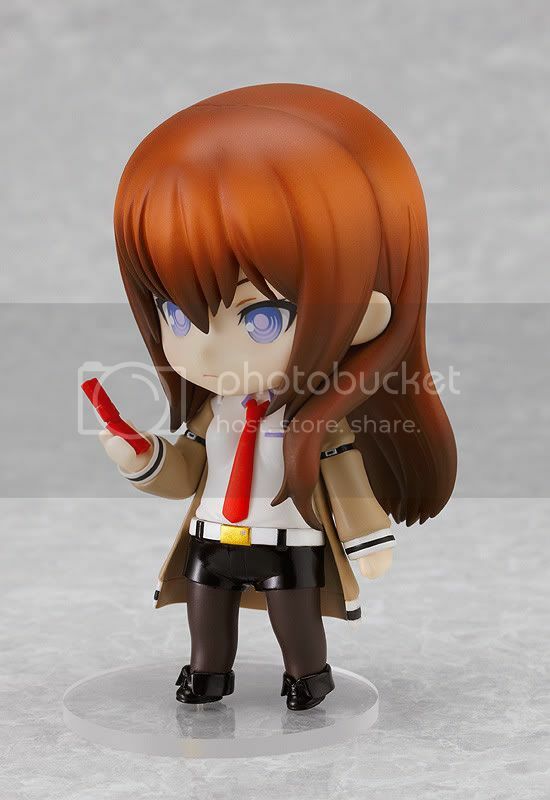 Good Smile Company is going to release the Nendoroid Makise Kurisu action figure from the visual novel Steins;Gate published by Nitro+ & 5bp. 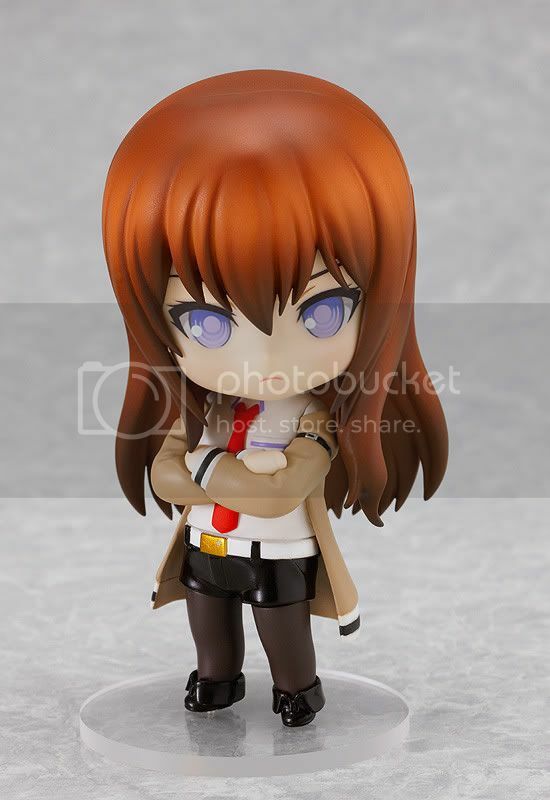 This figure is approximately 100mm in height and will be released in January 2011 around 3,000 yen. 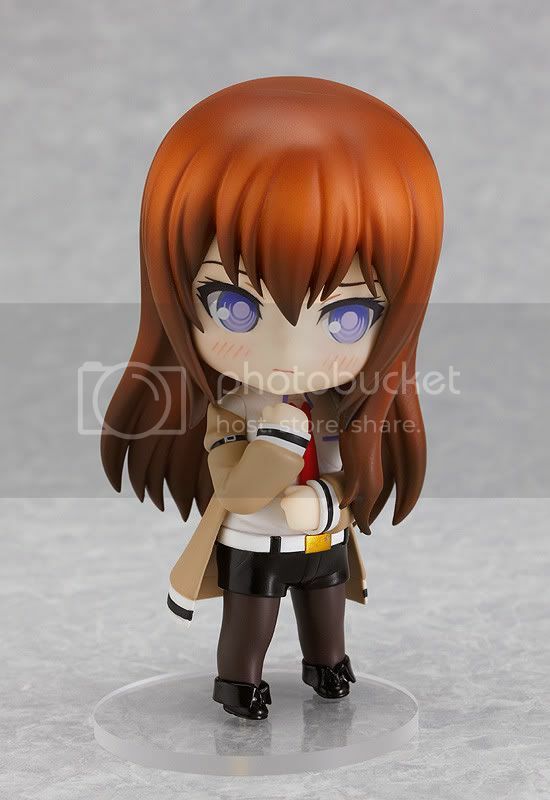 Another Nitro+ character design after the Black Rock Shooter, this Nendoroid looks so "silent". Expressionless with less accessories, but it successfully resemble her mysterious aura. 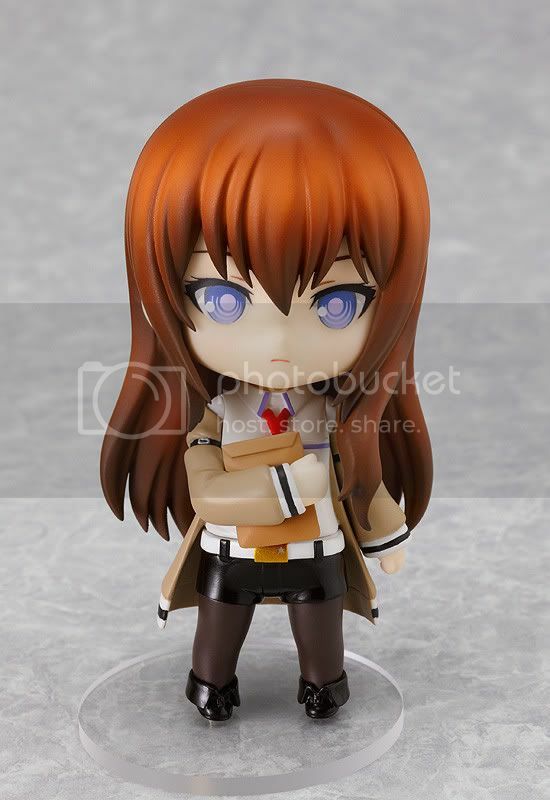 Various expression such as an upset face and an embarrassed face are included and packed with a lower price than the usual Nendoroid prices have. Good isn't it?